There is a current political movement in Alaska to close rural public schools in order to balance the state's budget. This of course would mean that thousands of children would have to relocate to the region's few urban centers to gain a formal education, leaving their families behind, or that they would enroll in distance-based courses administered through these urban schools and lack the face-to-face experience so important for a quality educational experience. The dismantling of the school system would hold severe outcomes for Native villages, many that already possess a history of forced emigration brought on by past governmental policies. Growing up in rural Alaska I am familiar with how imperative it is for families to stay together so they can maintain traditional knowledges and subsistence lifestyles in their indigenous environments. Not only that the relocation of children out of villages undermines the training of such children in the vocations their families employ to support themselves in a global marketplace. The community of about 200 people on Ugiuvak, or King Island in English named in the 1700s by James Cook, had over the course of decades been a target for policies and actions that pushed hard enough to evacuate all the inhabitants from the island by the late 20th century. Before these policies the Aseuluk wintered in Ugiuvak for well over a 1000 years constructing elaborate villages with nimble architectural forms that still sit on the Island's cliffs, perched over the Bering Sea. Above you can see the these homes, keeping in mind Ugiuvak is without trees, the villagers collected all building timber when it was drift wood. Government policies enacted during World War II dislocated residents throughout Alaska, and Aseuluk people were not immune to this. 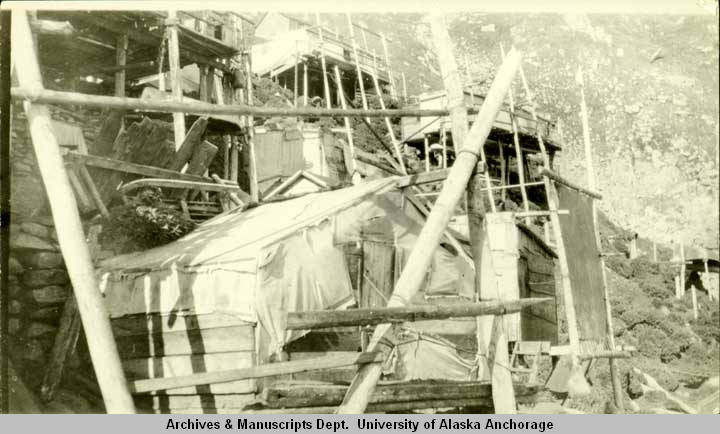 Popular historical narratives tend to focus on a tuberculosis outbreak being the catalyst for Aseuluk abandonment of the island, about a mile away from Nome, yet others point to the closing of the village school in 1959 as a main reason for the island's current day desolation. With the children in schools on the mainland, residents grew shorthanded in the work required for indigenous subsistence lifestyle, a hallmark of tradition for Native people. 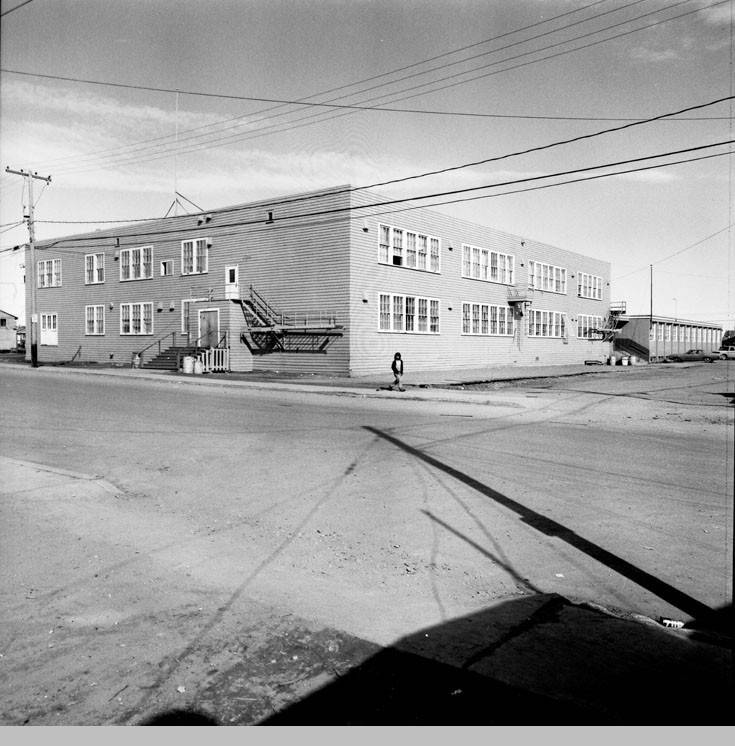 The parents then followed their children to towns like Nome, Fairbanks, and Anchorage. The off-island economies also played a part in luring people from the Island. Since the 1970s these families have lived away from King Island. Poet Joan Naviyuk Kane often embeds the history of the relocation and its consequences in her work. In an interview with National Public Radio, Kane describes her mother feelings when she learned as a child that she wouldn't be allowed to return to the island due to school closures. Kane says in the interview, "there was ... this belief that perhaps it was a temporary relocation, a temporary closure of the school." While some believed that the school closing was temporary it helped stoke a diaspora of islanders onto the mainland. Now Ugiuvak stands as what one can call a "sleeping village," a term I'm employing here to suggest that just because the village is presently without occupants now, is not condemning it to a future without Aseuluk residents in the future. (Note: I borrowed the meaning of the term "sleeping language," coined by Miami Linguist Wesley Y. Leonard, in which he asserts that Indigenous people can always return to using cultural practices, after they have long stopped doing so.) In fact, Joan Naviyuk Kane recently ventured to the island for a cultural homecoming, financed partially through crowdsourcing. In an interview with Harvard Magazine she responded to if and how the return to the island would make its way into her work, “I think I’m ready to begin in the next couple of months,” she says, “and really make sense of how hard it is to go back to a place that was left—that people emigrated or migrated from—and of this idea of returning.” Below is a clip of Kane reading her work during an Alaska Writers Quarterly reading. The school closure on Ugiuvak and how it brought long term displacement to an entire Native community is an example of what is possible if the state closes rural schools. While shutting them down may not end Native cultures, such actions assist in reenforcing dominant systems that inflict hard choices on Native individuals, such as to remain at home without formal educations or leave home to make a living after their economies downgrade in the wake of taking apart public education for rural villages.